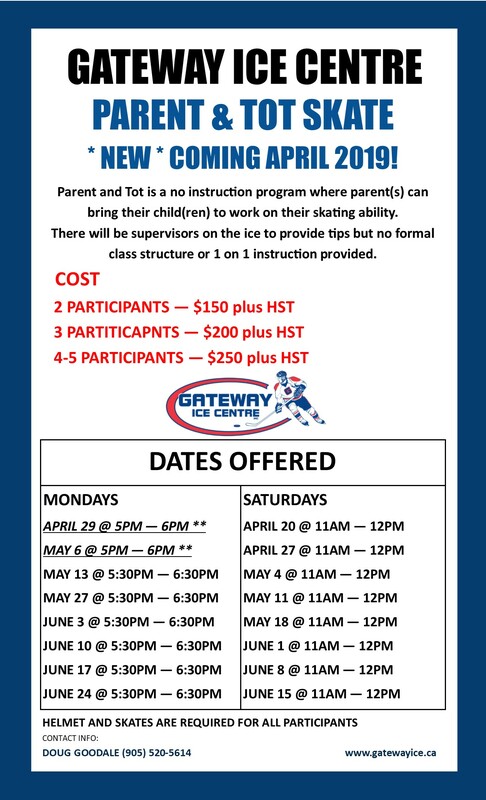 Parent(s) can bring their child(ren) for a skate to continue working on skating ability and confidence. payment will not be accepted online, you will have 48 hours to call with a visa/mastercard/e-transfer or come in to the arena. Spots are not secured until payment is received. Pre Hockey (50 mins) - for ages 4 & up, full equipment required including a stick.